(VOXtra) - Voice over talent and marketing professional Martha Kahn has joined VoiceOverXtra as Marketing/Sales Director - a position designed to help voice actors achieve their goals by expanding awareness of voice over products and services. "Martha will be a tremendous help to us and the voice over industry in this role," says VoiceOverXtra founder and publisher John Florian. "In fact, she's already begun!" "Competition for this position was keen," Florian adds, "and I had the pleasure of talking with a number of very qualified voice over sales pros. "But two things swayed me to working with Martha," he explains. "One, at the start of our first interview she told me that she perceived her role as helping everyone achieve their goals - creating a win-win situation for all. "And second, Martha is a voice actor who is very in touch with voice over people and the industry. She lives it, understands it, and knows what people need to succeed in this business." Florian adds: "And it didn't hurt that Martha has been a VoiceOverXtra supporter almost since our start in 2007." Based in Encinitas, CA, in San Diego County, Martha is a BFA graduate in Theatre Arts from Drake University, and has been a voice actor for 15 years. She is also a vocalist and soloist in a choir and on a church circuit in San Diego. She has more than 25 years of experience in the corporate world, too, including positions as regional sales manager and senior account manager at a variety of firms. "I'm committed to a high level of customer service to build trust," she says. In addition to exploring VoiceOverXtra's marketing opportunities with voice over coaches, equipment marketers and other service providers, Martha is responsible for the school outreach program for VoiceOverXtra's new book, Voice Over LEGAL. And she will be explaining exhibitor and sponsorship opportunities at VoiceOverXtra's Voice Over VIRTUAL, a unique and exciting two-day online industry conference being planned now for Spring 2013. 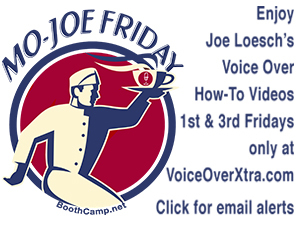 Founded in 2007 by VoiceOverXtra LLC, VoiceOverXtra is the voice over industry's award-winning online news, education and resource center, delivering free industry news, reports and how-to features on voice acting, business, marketing and home studio audio. 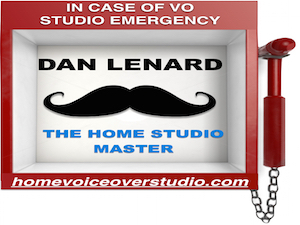 Visited by many hundreds of voice actors daily, the website also features a vast resource library of how-to articles, a voice over industry Directory, Calendar of training events, weekly Poll of voice over attitudes and statistics, Resource links and more. VoiceOverXtra also presents and records multiple how-to webinars each month, led by the industry's top professionals on voice over business, marketing, home studio audio, voice acting skills and audiobook narration. The company's book division this year published Voice Over LEGAL, a 120-page guide to voice over business and legal issues (available as an ebook and paperback). And planning is under way now to present the industry's first multi-day online conference, Voice Over VIRTUAL, in Spring 2013. Welcome Martha....this will be quite a challenge. I'm looking forward to witnessing your promotional genius as it applies to VOX. All the best and if you need any help / input........just holler. Thanks for your wonderful support everyone. I am so excited to work with this fabulous community of professionals! Welcome Martha and congratulations too - we're happy to have you on board. YAY Martha! I so enjoyed meeting you at VOICE 2012 and look forward to working with you at VoiceOverXtra. Welcome, and thank you! We're happy to have you and the experience you bring with you. Moreover, John is even happier to have you ease his marketing job. Without growth our roots will wither away! Welcome Martha! 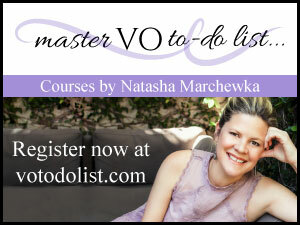 So pleased you've joined this wonderful resource for voice performers. Please do indeed let me know how and when I may be of help to you in your new position with the company. All best to you!